Hodge receives MVP Status from Material Handling Equipment Distributors Association for 4th Year in a Row. Dubuque. IA – Hodge has been awarded the prestigious MVP (Most Valuable Partner) Award for 2018. 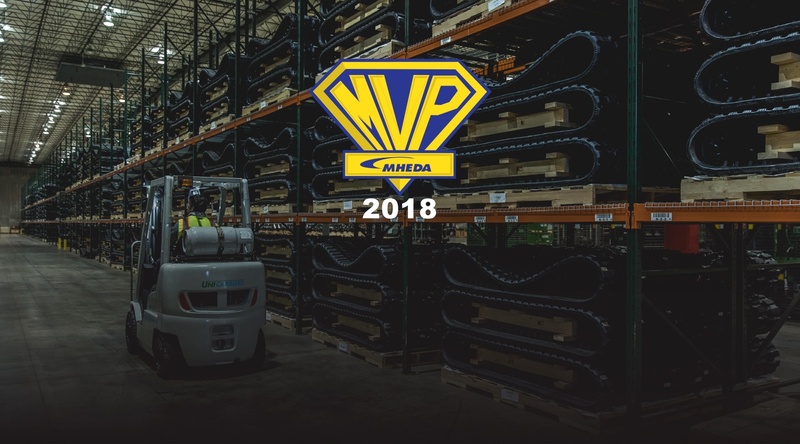 This is the fourth consecutive year that Hodge has earned an MVP Award from the industry’s trade association, MHEDA (Material Handling Equipment Distributors Association). Award recipients must satisfy a rigorous set of criteria with less than 10% of the association’s membership earning the award. As a 2018 MVP, Hodge has successfully demonstrated a commitment to business excellence, professionalism and good stewardship. Hodge is a performance-driven logistics and material handling company that delivers an integrated approach to solving supply chain challenges. From the strategy, down to execution, Hodge provides the equipment, people and solutions that allow companies to optimize their supply chains. Headquartered in Dubuque, IA, Hodge brings to the table nearly 6 decades of industry experience, nearly 800 dedicated employees, operating in 24 locations across 5 states. We bring ideas to life by delivering smart, honest service and a Whatever It Takes commitment to helping our customers achieve their goals.